Our interview with Dr. Joe Niamtu, III, about his cosmetic surgery practice in Virginia. That's interesting: Dr. Niamtu and his wife April have been chairpersons for Noah's Children, Operation Smile, Richmond ARC and are also active in the Safe Harbor Women's Shelter, March of Dimes, Conner's Heroes and other charities. Profile: Dr. Joe Niamtu III is well known in international cosmetic facial surgery circles as surgeon, teacher and author and is regarded as a key opinion leader by academics and clinicians worldwide. He is a fellow of the American Academy of Cosmetic Surgery and the American Society for Lasers in Medicine and Surgery. He is board certified by the American Board of Oral and Maxillofacial Surgery and lectures internationally on cosmetic facial surgery. Dr. Niamtu has taught on six continents and has written four textbooks as well as 22 chapters on other textbooks. 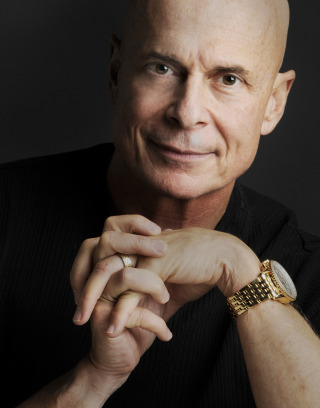 He has authored hundreds of publications on various cosmetic facial surgery topics and a has served on the board of directors of the Cosmetic Surgery Foundation and chaired numerous committees with the American Academy of Cosmetic Surgery. Dr. Niamtu was kind enought to talk to us about how he got started in cosmetic medicine and how he's grown his practice. Thank you for joining us today Dr. Niamtu. Can you fill us in a little on how you got started in cosmetic surgery? My maxillofacial training included 5 years of complex facial operations including, trauma, reconstruction, cancer, TMJ and other procedures. I always enjoyed the aesthetic part of this, but I trained before lasers, endoscopic surgery, neurotoxins and modern fillers. Cosmetic training began to become core in numerous specialties including plastic surgery, ENT, Dermatology, ophthalmology and oral and maxillofacial surgery. I noticed that the maxillofacial surgery residents were getting cosmetic facial training and it was part of the oral and maxillofacial surgery board exam and also covered by our malpractice insurance. Being friends of Jean and Alastair Carruthers, I got onto the Botox bandwagon early. By the mid 1990’s I was proficient at endoscopic surgery from TMJ procedures and browlifting was a natural step. I was one of the early surgeons to use lasers for cosmetic procedures and I simply just got bit by the cosmetic surgery bug. I loved anything having to do with cosmetic facial surgery and spend hundreds of hours and tens of thousands of dollars learning contemporary facial surgical procedures. This became a bigger and bigger part of my practice and in 2004 I limited my practice to cosmetic facial surgery, which it remains today. I'm a teacher at heart and almost went into academics. I have always enjoyed writing and lecturing and quickly began lecturing and publishing on cosmetic facial surgery. I have written hundreds of articles on cosmetic facial surgery, written 4 textbooks, and lectured on 6 continents. I currently lecture over 20 times a year and cosmetic facial surgery remains not only my job, but my passion. Can you tell us more about your cosmetic clinic? My office is a 5,200 square feet state of the art, fully AAAHC accredited office ambulatory surgery center. We have a spa like environment, but have no formal spa or aesthetician. Our environment caters to upper class females and males (but we also do significant pro bono work). We have two operating rooms that rival any hospital and a recovery suite to accommodate same day or 23 hour patients. We have 4 consult suites, two of which can double as minor procedure rooms. There are several employee offices and a business room to deal with patient consents and finances. We have a single surgeon (me!) and 8 staff. This includes 2 receptionists, 2 R.N.’s, a manager, 2 surgical assistants and a cosmetic coordinator. We work, work, work. We probably see enough patients for 2 docs, but it is just me. We rarely eat lunch as we “take all comers” and my staff is great at making it all work. That sounds like a your staff runs the clinic like machine. What have you learned about managing staff? I, (like any doc that has been in practice for 30 years) could write a book about staffing. It is truly the biggest challenge to any successful practice. It is such a complex topic, it is difficult to even discuss in a short space like this. I think the basics are to find employees that need to work. Keep them excited by making the game big enough. Anything that is not moving forward is moving backward! Never accept mediocrity and always strive to be the best. I tell my staff that if they don’t think we have the best office in town, they should send our patients somewhere else. I think that salary is important, but finding staff that enjoys the job is more important. We still pay health insurance which helps attract good staff. Basically, doctors are poor HR people and we insist on a manager experienced in staff issues. One problem that many doctors make is keeping a substandard employee because they want to be a good guy or girl. A poor employee can drag down the entire staff and be the bad apple. If an employee does not seem to be working out, it is important to terminate them soon. It is never easy, but if the doctor and other staff is not happy, the poor employee is probably not either. We always do this with respect and simply tell the employee that they are not progressing in the same direction of our practice vision. I really need sharp staff. A “ten” employee at some offices may be a “six” at my office. Although this is easier now, it was leaned on the back of hard lessons. Many of them involved me and my behavior as well. We all learn what it takes to lead and manage a successful, winning team, it takes years for most of us. What are your thoughts on the IPL and laser technologies you’re using now? I have used IPL for years and used the Lumenis 1 machine. It performed fine but my practice is limited to head and neck surgery and that rules out a lot areas that the machine could potentially service. Due to this I have sold the machine and currently do not offer IPL. I think it is a great therapy, but my experience was that for every 10 patients you treated, 3-4 did not appreciate the gain or feel it was worth it. I have a surgical practice and my patients expect big changes with single treatments, so the IPL did not fill that requirement. I am a huge CO2 laser fan and use the Lumenis Encore. I have the Lumenis Active and Deep FX fractional machine, but just don’t use it much. Unlike most of the planet, I am currently unimpressed by fractional laser treatments. I am a still a fan of “old school” laser resurfacing and last year I performed 60 full face CO2 laser treatments. I am talking about high fluence, high density, multipass treatment with a two week recovery. Many surgeons have embraced fractional technology, but nothing can touch the results of traditional CO2 resurfacing. Yes, the recovery is 2 weeks, but that is pretty reasonable to turn back a half century of aging. I have to laugh when I hear surgeons forsake the two week recovery and then in the same breath say they are doing 4-6 fractional treatments on the same patient. That is bad math. Some of my friends that have minimally invasive practices love fractional treatment and again, I have a surgical practice and my patients expect results that can be seen in a before and after picture. In my experience most fractional treatments show little result. and Aggressive CO2 is still the gold standard for rejuvenation and scar improvement. I have the Lumenis Active and Deep FX fractional machine, but just don’t use it much. I have instituted numerous steps to make “old school” laser treatment easier on the surgeon, staff and patient which could be the subject of a future article. I also have a Iridex 940/532 laser and really enjoy it. The 940 wavelength is awesome for spider veins and pigmented lesions and I don’t utilize the 532 much as the 940 is superior, especially with deeper and or bluer veins. It also works well with venous lakes and small hemangiomas. Finally, this is a confusing time to buy new devices as I think that the promotion by media and companies has gotten out of hand and is not evidence based. Young practitioners need to be very careful about investing in unproven technology as it can come back and bite you. If you buy some “miracle” laser or fat melter and begin a big media campaign, you can drive patients into your office and if the technology does not live up to your hype, you can permanently ruin your credibility. My advice to novice surgeons “stay on the cutting edge and avoid the bleeding edge". Every time some new miraculous device appears on The Doctors, or some morning show, our phones immediately light up. The public is hungry for big results with no down time, but we are not there yet. Question: How do you market your clinic? My marketing budget in 1999 was $200, and has obviously grown significantly as my practice progressed. There is no doubt that my marketing has contributed to my success, but you have to be a good surgeon to make it work. You can spend millions on marketing and if you can’t back it up, it does not work. Also you have to walk before you run. For new offices, internal marketing with web and social marketing can be effective for very little cost. As the offices progresses, the next step is to branch out into other media. Print advertising is the next most cost effective with radio and TV being more expensive. I believe in a shotgun approach, throw some seeds everywhere. I divide my budget between newspaper, magazines, mailers, radio, TV, and other outlets. I think a good goal is to invest a certain amount of your gross to marketing and keep the formula going. Also remember, treating people great and special is free and there is no more powerful marketing than patients sending other patients. I am one of those nerds that does their own website and blog. Yes, I spend a lot of time doing it, but I really benefit from it as well. You can’t get any more personal touch than directing your own material. Getting known for your work is also great marketing. I love to teach and lecture over 20 times per year. I give courses at my surgery center twice a year (www.cosmeticsurgeryeducation.com) and also market a cosmetic facial surgery DVD series. I have written 4 textbooks, 22 textbook chapters and hundreds of articles on cosmetic surgery. Patients like to see their surgeons name in print and it bolsters your reputation. Profit is not a four letter word in surgery but loss is. Some doctors feel uncomfortable about discussing money, but in the end, we are all running a business. I would guess that cosmetic eyelid surgery, radiowave mole removal and neurotoxin injection are among the most profitable procedures considering time spent and monies collected. Fillers are less profitable because I numb every patient with topical, then local anesthesia and it takes longer, but pays for itself in bringing patients in. As I stated earlier, I have stopped performing IPL as I do all treatments myself and it was too time consuming. What have you learned about practicing cosmetic medicine that can help other docs? Cosmetic medicine is an upper class luxury and elective and these patients expect to be pampered and catered to. It is truly a different clientele from the patients that practitioners may see within their specialty. When I was doing a lot of facial trauma, patients would be grateful just to be treated and look normal. On the other hand, a facelift patient with a tiny scar may complain incessantly. In some respects, it is high stakes poker as many our patients are not happy with themselves and may poses body dysmorphic traits which makes rational treatment and results difficult to convey. All cosmetic doctors also practice psychiatry in a sense as you must figure out and manage the mental game of many patients. This is also a highly litigious group. Do what you love and love what you do. I truly have a passion for cosmetic facial surgery and on Sunday night, I am psyched up about going to work on Monday. To me that is the definition of success! Winning is not that hard. Treat your patients better than anyone else, always put the patient and patient safety first, follow the Golden Rule, back up your work, stay on the cutting edge, give back to your community and be an humble and approachable person and you will be successful.